“You are never given a wish without also being given the power to make it come true. I am still in disbelief . I just can’t wrap my mind around the fact that I ran 8 minute miles for over 7 miles and finished my first half marathon in just over 2 hours! I have a hard time believing my body did that– and yet I was there doing it. It’s a very surreal feeling even 3 days later. Truthfully, I had no idea what kind of pace I would be capable of because all my training runs were with a weighted pack, on trails, and usually pretty hilly. My fastest run on pavement had been 10 miles in 2 hours, but this was a whole 5 K more in almost the same time! For anyone convincing yourself that you are not capable of running, I’d invite you to take a look back at my first post; and then come back to read this. I am not an athlete. 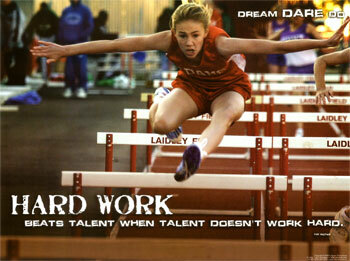 I’m not a naturally gifted runner. 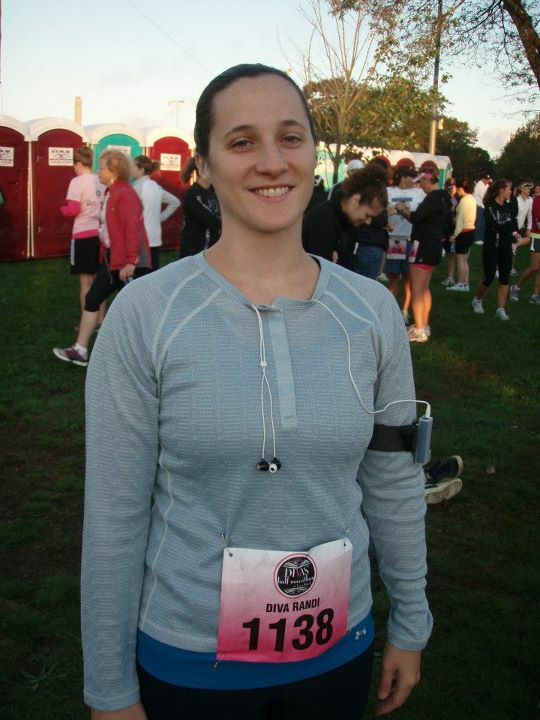 I am clumsy, awkward, and uncoordinated- but I ran 13.1 miles in 2:06! If I can do it, I guarantee you that anyone can. What I did– and do– have in my favor is that I am willing to work hard. I will push myself as far as needed to reach a goal (and frequently probably a little farther than needed…) It is such an AMAZING feeling when that hard work finally pays off! I started training in the spring, and many months later I am seeing my dreams come to fruition. It’s more than I expected. What’s more, it’s not just the running. It’s the work I’ve been putting into this blog, advocating for domestic violence, and creating a more fulfilling life for myself. When I started this blog, I didn’t have a clear idea of where it would take me. Now, I have a clear purpose for writing and running. It’s not about healing myself anymore- it’s about healing other women and victims of abuse. As passionate as I am about running- and as much as I love it- I am MORE PASSIONATE about this cause. That is why I am willing to put myself out there. I have a potential interview with a local newspaper this week to talk about the Running for the Color Purple Campaign, and with Susan Omilian’s help, there may be more publicity to follow. Normally, I would shy away from drawing any kind of attention to myself, but it’s really not about me anymore. My story is no different from any other women who has been through abuse. If I am truly committed to raising awareness, funds, and fight the stigma associated with abuse, then I need to be willing to do whatever I can to make it happen. I am a woman on a mission. I believe one person can make a difference, and I am doing my best to do just that! Initially my far-reaching goal was to finish in 2:30- so that if I had the crazy inkling to sign up for The Pike’s Peak Ascent, I could. The start was pretty slow due to all the people who lined up way in front and then proceeded to walk or jog at a painfully slow pace (clock blocking=pet pieve). It took most of the first mile to get out where I could run at my pace. They had a marker with a clock at every mile (I loved it!) and by mile one I was at 10 min. I was completely stoked, but I wondered if I’d be able to maintain it. By mile two I was at 18 minutes. AWESOME! I wasn’t even pushing hard. It felt completely natural. Mile three the marker was at 24 min, and when I hit mile 4 and was still turning out 8 minute miles I was completely overflowing with excitement. I don’t run fast. I used to, but it was years ago. Even then, I was a middle of the pack runner. I can’t remember the last time I ran a mile in 8 min flat, let alone the 6 minute miles I used to do. I couldn’t believe I sustaining this pace, and that I felt GOOD. I pushed through miles 5, 6, and 7 still holding strong. I was COMPLETELY BLOWN AWAY when I looked at the clock at mile 7 and it was just over an hour! I was in disbelief. I realized if I continued at that pace, I would finish in under 2 hours! However, by mile 8, I was starting to hurt and getting tired. I hit the wall at mile 9 and stayed there the rest of the race. I was miserable- but nowhere near as miserable as I had been in training. There was no searing pain, no limping, no numbness. I wanted to walk desperately, but I couldn’t allow myself. I wanted to run the whole thing. I wanted to do my best. Most of all, I would have killed myself if I walked and missed the 2:30 mark. The clocks for the miles after 8 were all messed up, so I had no idea if I was on pace or not. I had a pretty good idea I was way off by how much longer the miles seemed to stretch and how many people were passing me. I wasn’t sure how much I had slowed, or whether I created enough of a buffer to make my goal. When I saw the finish line (FINALLY!!!) and the clock read 2:07- I was shocked and thrilled. I literally couldn’t believe it! 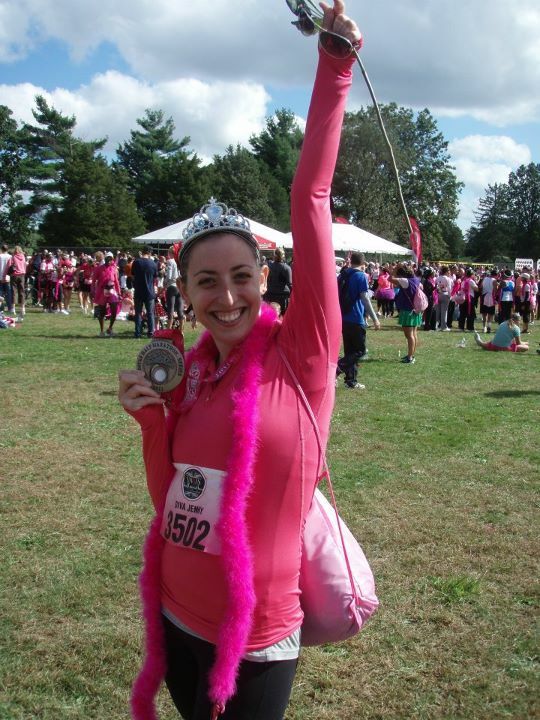 I ran through the nausea, headache, back pain, and fatigue, and, in the end, annihilated my goal!!!! I couldn’t believe I ran that fast!!!! My official time was 2:06. I think it was an impressive performance even by Adam’s standard. Picking up our gear and shirts at the Expo. The before shot...Hopefully we'll still be friends when this is over! Randi missed the memo about it being a "Diva" race...She wore blue. 13.1 miles later I'm glad she's still speaking to me! The best part about all of this is that I have raised almost $150 so far for CT-ALIVE. Given that October is Domestic Violence Awareness Month, I would strongly encourage everyone to consider donating or checking out some other ways to help raise awareness about Domestic Abuse. As always, thank you for reading. Comments and feedback are always welcome and appreciated. Have a great day everyone!!! This morning I am heading to Long Island! 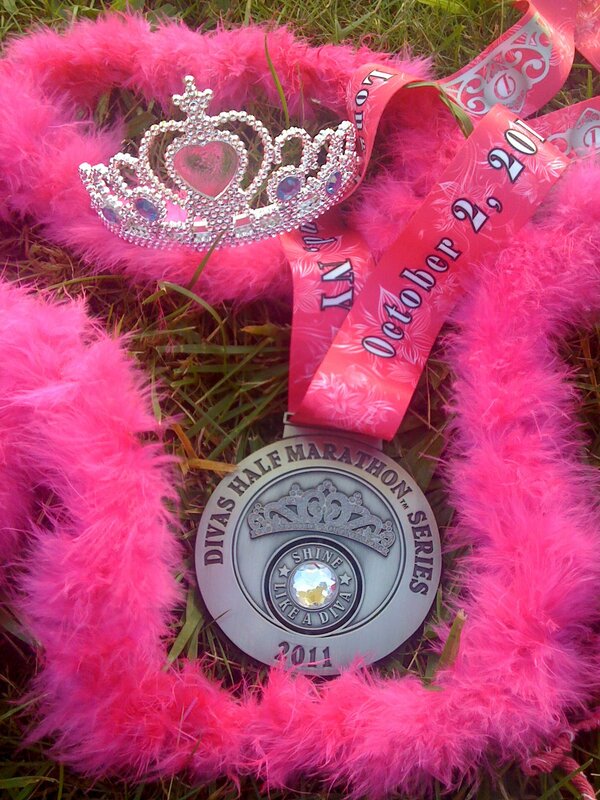 The Diva Half Marathon is TOMORROW (I can’t believe it’s already here), and I will be there rain or shine…. it’s looking more like rain than shine. The most nerve racking part: the drive. This post is going to be short due to ongoing computer issues, and the fact that I am literally supposed to be running out the door. In related news, I survived my first month of boot camp!!! It did get easier- mostly owing to tapering my marathon training. Once I wasn’t pulling a full running workout beforehand, I realized they actually weren’t that hard (sorry Mike). Lately, I have been doing something out of character- I haven’t been running (and it’s making me a little nutty…). 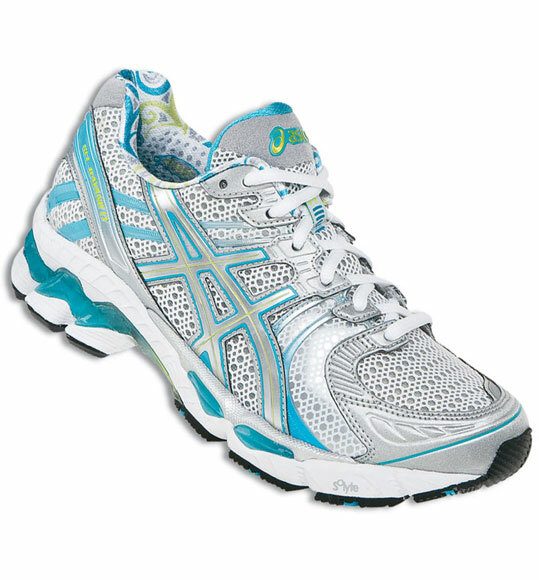 Well, that’s not completely true- I did a miserable 2.5 miles on the treadmill to test out my new paisley running shoes. However, I have not been doing any crazy, long runs. 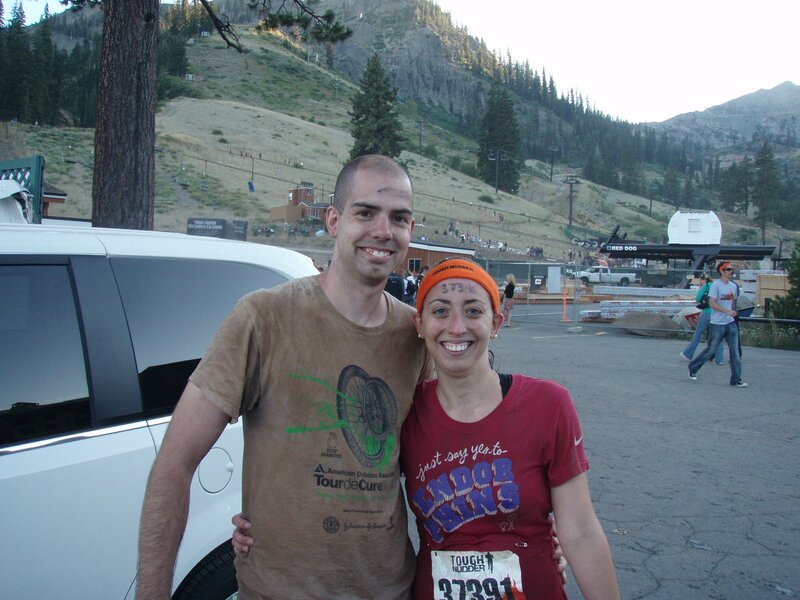 After the Tough Mudder -and even before- I had notice my body was getting pretty beat up. My groin was KILLING me; and for a while, I had considered that I seriously pulled something. When I tried to run, it was a constant struggle. Nothing wanted to move the way it should. My limbs were like lead. Plus, every boot camp session involved some muscle feeling like it was going to snap. First it was my groin, then my right glute, now I’m back to groin (thankfully, not nearly as bad). It got me to thinking that maybe cramming in this last 20 mile run is not that important. 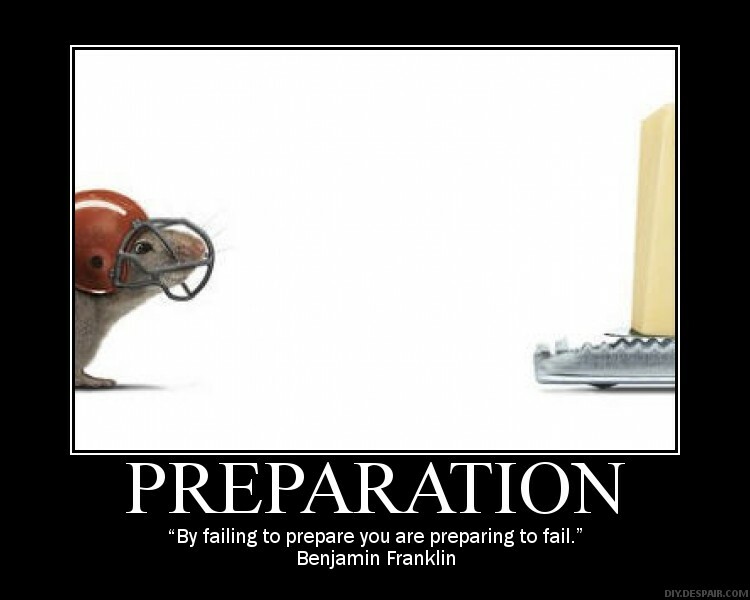 I mean, it’s not worth getting injured (or risking injury) when I have already prepared so much. I have been training for months now. It’s involved sacrificing a lot of time (and the ability to walk normally at times…). I have logged hundreds of miles; and honestly- I don’t think that 20 mile run is going to make or break my performance. In fact, I think it is far more likely to hinder me than help. I know that marathon is going to be hell. I know what it is going to feel like to have to fight through the exhaustion. I’ve done it…okay maybe not for 26.2 miles, but you get my point. I’ve pushed through the walls. Mentally, I know I can do it. I”m hopeful my body will cooperate. I truly believe that my best bet right now is to take it easy and recharge so I’m running on a full battery when race day rolls around. I asked Adam how many miles he ran before his first marathon, and he told me 17 or 18, which is right about where I’m at. 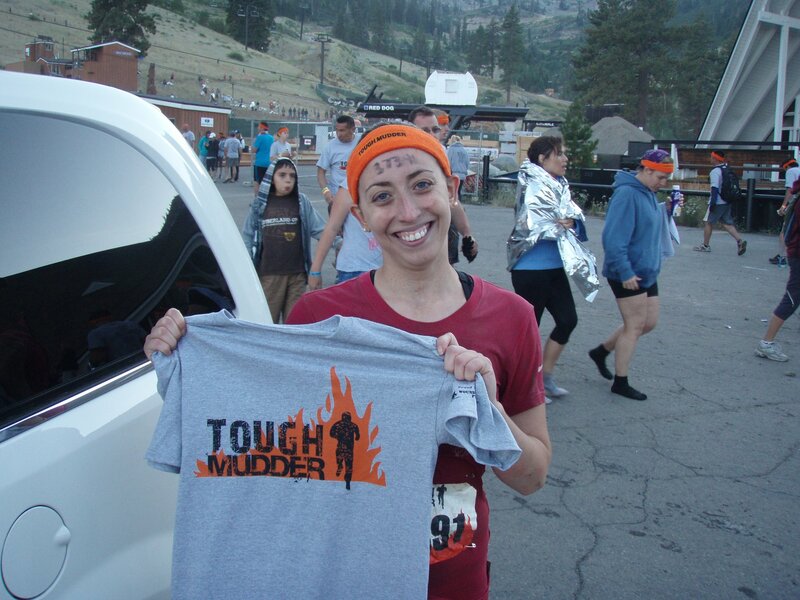 I have done tons of trail running, hills, gym workouts, cross training, and even did a Tough Mudder to prepare. I have spent the last several months running and training with a weighted hydration pack to improve my strength and endurance. I’ve primary run in vibrams to improve my form. I am absolutely as ready as I will ever be. All I can do at this point is try not to do anything stupid to hurt myself, put it out into the universe, and hope for the best. 🙂 Oh, and try not to drive myself crazy in the meantime while I avoid my typical form of stress relief! As much as I know how much work I’ve put in, it’s still hard not to worry about not being able to finish. It doesn’t mean I’m not prepared or not capable- it’s just something I have a habit of doing before any new distance or challenge. 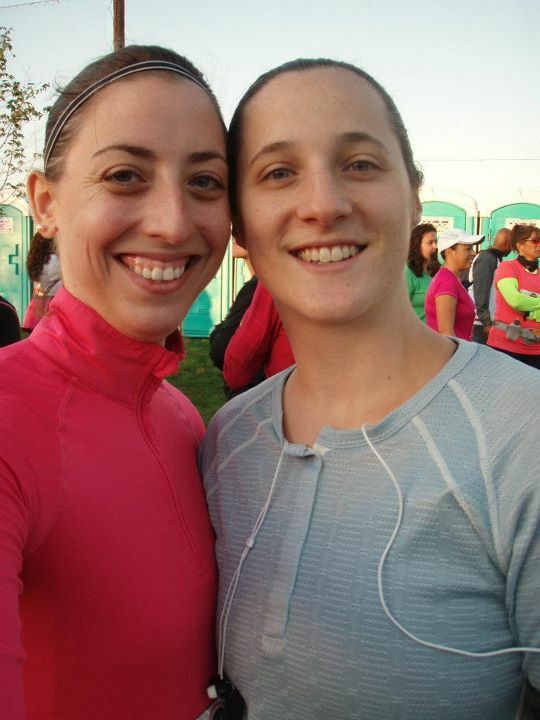 I was terrified before my first 10K (and the subsequent 2), my first 15 K, and the Tough Mudder. I sincerely doubted my ability to complete to each- that’s right just finish, I’m not looking to set any new records here! 😉 After the fact, I was always surprised at how much worse I anticipated it would be than it actually was. I have a feeling,however, that the marathon will be exactly as horrible as I am anticipating, but I am determined despite my anxiety and lingering doubts to get across that finish line. The good news:CT-ALIVE has already received it’s first donations for the Running for the Color Purple Campaign! (I will sleep soundly tonight knowing that even if this race kills me, it will not have been in vain; and my ultimate goal to make a positive impact on the world will be achieved…jk…sort of…) Plus, I am optimistic that there is plenty more to come! I would encourage anyone to check out the CT-ALIVE page and consider making a donation to help victims of violence rebuild their lives. I would also like to say THANK YOU to those amazing people who have already donated and to all the wonderful readers who have left comments and subscribed! As always, thank you for reading! Comments and feedback are welcome and appreciated- you can also email me at runningthriver@gmail.com. Feel free to share any information on this site, just please give credit back to this blog. I hope everyone has a very peaceful and restful evening! After a lot of careful consideration and back and forth, I have officially come out. Not in the Lady Gaga themed gay pride sense (although I did think the youtube video was pretty awesome- I could only wish to be that fabulous). Rather, I have opened up about my blog to my coworkers and Facebook friends. Initially, when I started this blog, I had intended on keeping it to myself. I wanted to provide a voice for those victims who were unable to speak up for themselves and let them know they are not alone. I also wanted to help raise awareness about domestic violence. While I was open with many of my coworkers about what I had been through, I found the topic of domestic abuse tends to make people uncomfortable. Several of them knew that I had started a blog, but I had never offered to let any of them read it. The only people in my life who had read The Running Thriver up til now were a few close family members and friends. However, as I have gotten more involved in the fight against domestic abuse- especially with the launching of the Running for the Color Purple Campaign- I have felt that sharing my blog is the right thing to do. If I can’t be completely open about this big part of my life and educate the people I interact with on a daily basis than 1) how can I expect to educate anyone else, and 2) how can I encourage other victims to speak up and not be ashamed? While I am not at all embarrassed about what I have been through, I have been a little reluctant to “spring” this information on people- in particular Adam’s family and friends. At the end of the day, though, I care more about speaking up and raising awareness than I do about not bringing attention to myself. Plus, I would have found it difficult to ask so many people to donate to this cause without explaining why it is so important to me. In other news, I bought my first pair of non-vibram running shoes in a LONG TIME. With the Diva Half and Hartford Marathon being on pavement, and my continued difficulty getting accustomed to running on pavement in my Vibrams, I figured it might be wise to hold off on a barefoot marathon for a while longer. Adam helped me pick out a pair with more cushioning in the toe box so they would be more comfortable for my new running style. I also got my first pair of real running socks and some pink gloves (on clearance!) for when the weather gets cooler. 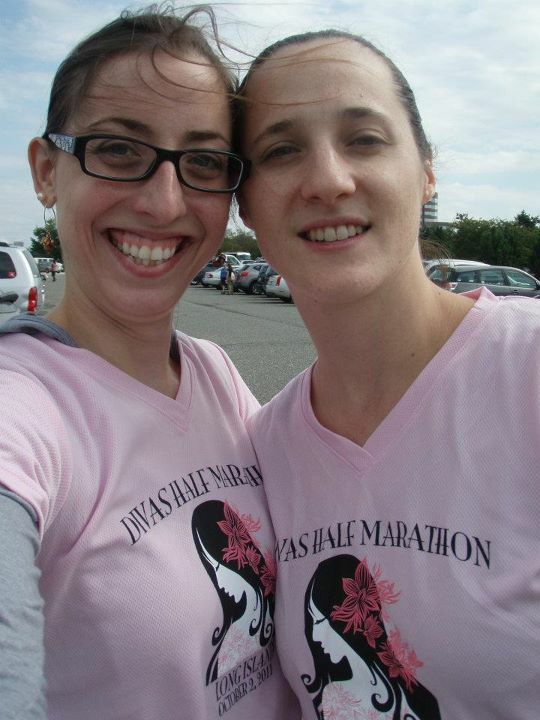 One week until the Diva Half and less than 3 until the Hartford Marathon!!! My new shoes- There are even paisley on the inside!!! Today I decided I am going to be a bum– not forever, just the rest of the day. 🙂 I have already cleaned the house (including the windows!- a clean house is crucial to my ability to unwind! ), put out all my fall decorations, and taken care of the dogs; so I think it’s time to RELAX. Originally, my plan was to do a 20 mile run today- my last long run before the big day. However, my body has been really beaten up; and I am just flat out exhausted. Between the traveling, training, working, -and general sleep deprivation- I think I’ve pushed myself to the limit. Recovery is as important as training, and it’s about time I took it more seriously. I am tired of trying to push my body when everything hurts and it’s too tired to cooperate. That’s right! I made it! Through mud, freezing water, electric shock (I didn’t actually get shocked, but I did run the risk of it! ), rough terrain, under barbed wire, literally up and down a mountain for over 11 miles (probably over 12). There were times when I was terrified, hyperventilating, and completely frozen- in the shivering, teeth chattering sense-, but I made it through! Adam was right there with me the whole way. He helped me over the tall Berlin walls and up the ropes. He also made sure I didn’t drown after I jumped 15 ft into freezing water, and it literally knocked the air out of me. He even offered to pull me to the other side of the water, but I told him I could manage. I think I may have worried him a little. lol Casualties included my “Say Yes to Endorphins” shirt 😦 and black hair band, which got caught in the barbed wire on an early obstacle. The views were spectacular! I wish I could have taken pictures from the top! It was completely breathtaking- both in the sense of being awe inspiring and the altitude literally making it difficult to breathe. If nothing else, the trip and race were worth the scenery alone. 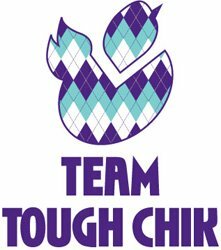 🙂 We saw lots of crazy costumes, some awesome stunts, and great signs posted by the Tough Mudder Staff. 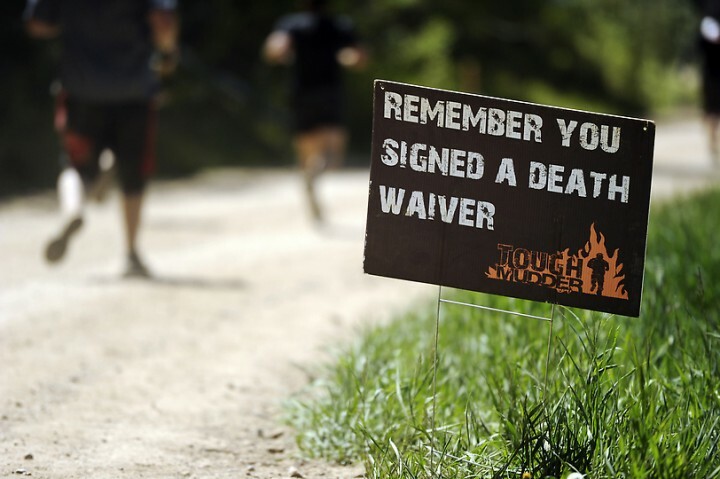 My favorites included the Warrior Dash finish marker with the reminder that you still had a hell of a way to go, and smaller signs reading things like “Remember you signed a death waiver” and “Chuck Norris never ran a Tough Mudder”. There was also a lot of camaraderie. Well, that is at least until we hit the last couple miles and things came to a grinding halt. The course narrowed dramatically and it caused a lot of standing around and waiting- not exactly a fun time when you are tired, starving, soaked, and freezing. 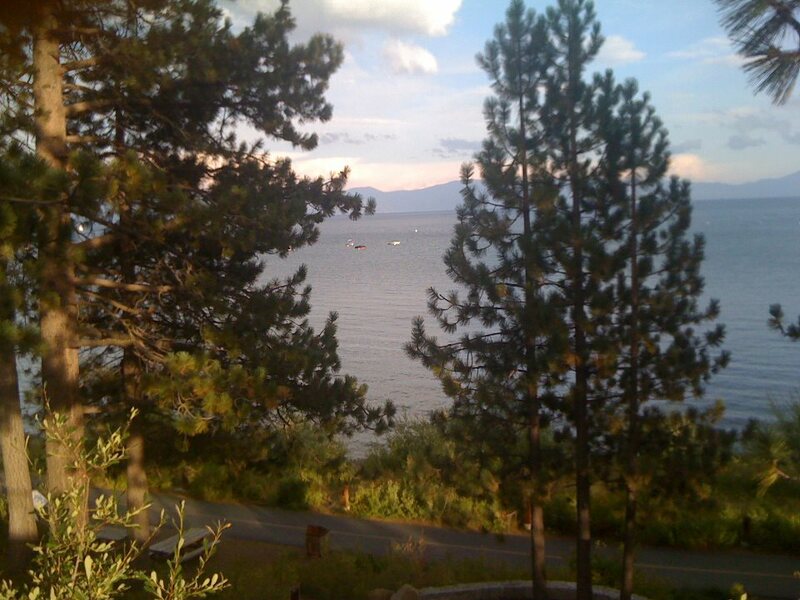 The sun was already fading, and the wind on the mountain made the temperature seem incredibly cold. I imagine waiting in long lines with the finish line in sight was not exactly what people expected. There was a lot of vocal complaining and heckling going on. People were getting down right nasty, but I guess not everyone handles general discomfort the same. By the time it was all over with, we were all a happy Mudder tribe again…it may have had to do with the free beer and snacks. Overall, I think the course was fun, but might have been improved if the paths were wide enough to get around the people who insisted on walking (incredibly slowly, the entire way- I still give them props by the way). All that being said, I didn’t let any of the temporary grumpiness or physical discomfort drag me down! Normally, I tell people my three criteria for happiness are to be warm, dry, and well fed; by the end of the race I was none, but I was still upbeat and enjoying Adam’s company- even if I was too cold to feel my legs. I was proud of myself for still having energy at the end of the race to sail down the hill, while many other people were dropping out and complaining about fatigue and pain. I set out to do something I knew would be challenging and followed through- despite my better, self-preserving judgement. I also raised over $70 for the Wounded Warrior Project just in bottle and can donations (Thank you to my awesome co-workers and family for all your help!!!). While I may not be in a hurry to rush out an sign up for my next one, I would definitely do another obstacle race in the future. In the meantime, I have realized that what I truly enjoy most is just running on the trails- no crowds, no obstacles, no pavement- just me and nature, and the wide open path. 🙂 The whole time I was running (mostly hiking- the attitude made it difficult on the way up, and crowding did the same on the way down) the race I kept thinking of how much more fun it would be if I could just run the course without all the interruptions -including the obstacles- which were fun, but not quite as much fun for me as just running. I would strongly encourage anyone to try an obstacle race, especially if you find just running boring. 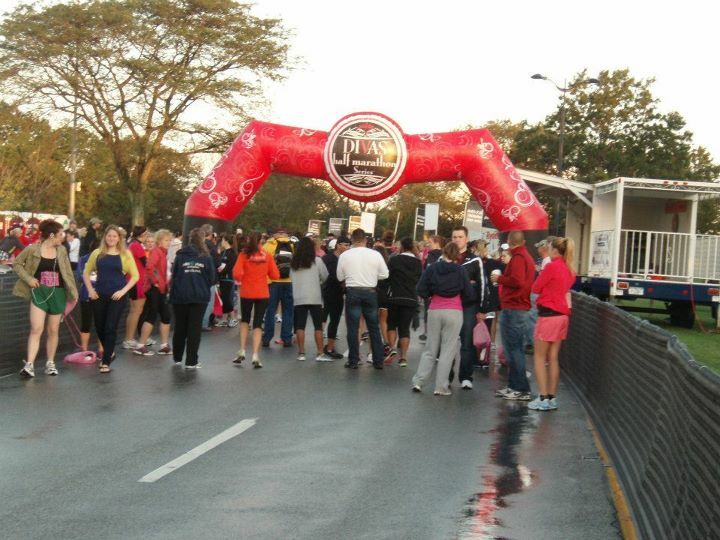 They start as short as 5 K, which is completely doable- even if you walk the whole way. It’s a great opportunity to get dirty, exercise, and meet some new people. Tonight at Boot Camp I will proudly be sporting my orange Tough Mudder sweatband and T-shirt! Go Mudders! I am very happy to have completed my first big challege this fall. 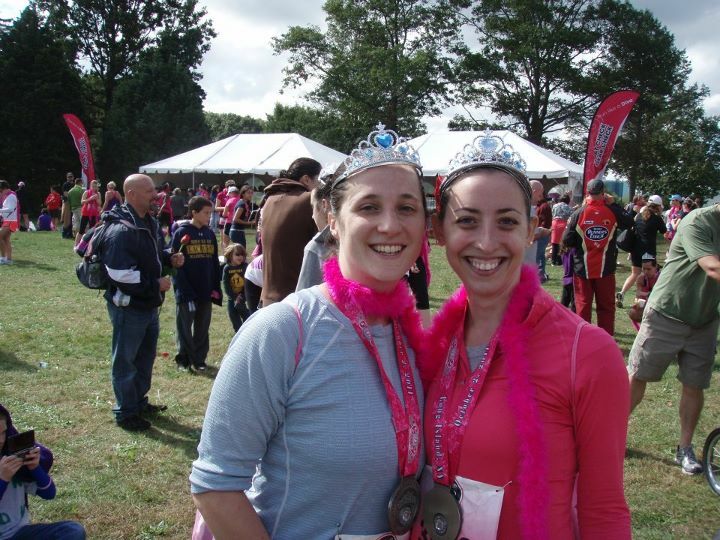 The Diva Half Marahton is in just 2 wks and the Hartfod Marathon in 4 wks! I can’t believe how quickly this is all happening! Thank you everyone for your support and well wishes!